And it is quite natural that every Ethereum Miner is interested in increasing the return and profitability of their efforts. An Ethereum mining calculator is an essential tool that will help you work this out. Rather than purely focusing all efforts on your Ethereum Rig, Ethereum Cloud Mining Services or other hardware elements, it is important to think about all the other metrics that will impact earnings in both Ethers (ETH) and Dollars ($ / £ / €). Of course no Ethereum Miner is interested in losing the value of the investment and efforts. In a given duration, say a day, week, month or years what are the estimated earning and profit is of paramount concern. We have already seen that there are quite a lot of variables in Ethereum Mining that can contribute or affect Ethereum profitability. Over time Ethereum Mining difficulty is increasing as is the case with other cryptocurrencies. Mind here that the Ether conversion rate or vale of Ether is growing sometimes exponentially. The Ethereum Mining Calculator and Profitability Calculator is used to know what we can expect to get with what we plan to do and if we alter the metrics what we can expect to get from Ethereum Mining. So, it is most essential tool and calculation that every Ethereum Miner MUST have knowledge and details. Fix your goals, know what you are current metrics are, know how alterations can affect your profitability. All with Ethereum Mining Calculator. There are some online Ethereum Mining Calculators available which the miners can make use of readily. Also, when miners are going in for Ethereum Cloud Mining services, the service itself can be of help in providing quick information. The following are some indicative Ethereum Mining Calculators to have a look at. Ethereum Miners can work as solo miner or in an ethereum mining pool. While working in a pool, there may be a pool fees and pool efficiency also matters in profitability. The key metric in calculation is mining power or hash rate. How powerful mining operation or how powerful our Ethereum rig can be, is all known by the main metric Hash Rate. A hash or hash rate is the output of a hash function which is the speed at which a compute is completing an operation. 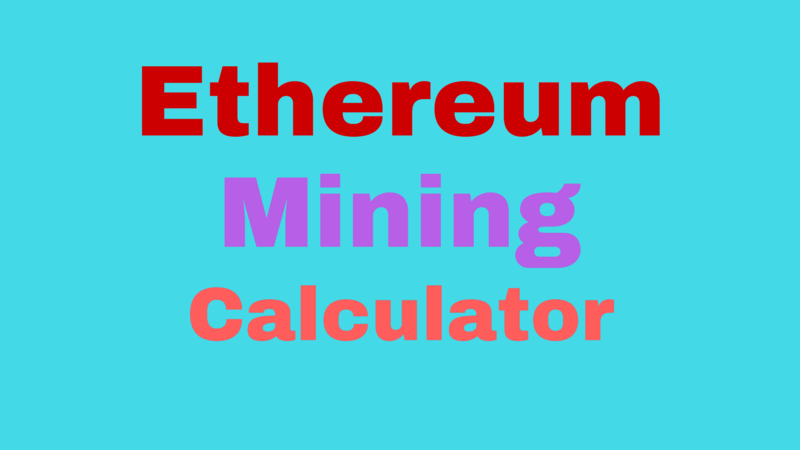 There are simple Ethereum Mining Calculators to advanced Ethereum Mining Calculators; depending on how many metrics they take it as inputs and how many inputs they assume as average given figure. A simple Ethereum Mining calculator takes in to Hash Rate input assumes all other metrics including electric power consumption and rate and calculates ethers and dollar value. As mentioned Ethereum Mining difficulty is increasing and can be seen in this page; or here. Difficulty is usually expressed in TH unit and refers to the probability of finding the hash. To make any money it is imperative that your mining is done as efficiently as possible. Ethereum Mining Calculators come in handy as a compass to set the right direction and navigate our way towards mining profitability. For those interested in mining ether, but don’t have the technical expertise to get set up with their own hardware, ethereum cloud mining could be the perfect option. If you’ve looked into mining your own crytocurrency, you may well have considered building or buying an ethereum rig. You’ll also know that the task in hand required very high computing power! And whether it is buying a rig or building one, it involves capital investment upfront and of course some time and efforts. Not to take into account the nitty gritty of hardware, software installation, integrations, and making it all work together for the whole time. Just before diving in, let us also consider another option, Ethereum Cloud Mining and its details in brief. Of course as any other one, this option also goes with its own pros and cons. In the age of everything available as a service, there are dedicated cloud mining services too. And that services presents itself a really serious and attractive option. Computing power has been available as a service for quite some time now, including Infrastructure As A Service (IaaS), Software As A Service (SaaS) and Platform As A Service (PaaS). Software Applications are also bundled with these services and made available readily to everyone who want to start anything. In recent times it is a real success that it is considered even before opting for owning the equipment. It is quite natural that cloud mining services also emerged quickly and being adapted. There are some distinctive advantages of cloud computing which leads to its success and adaption. If you’ve already invested in ethereum mining hardware but would like to find a more collaborative way to mine for ether, you could consider joining an ethereum mining pool. When considering Ethereum Cloud Mining Services, on the one side this job being one that requires costly computing power and on the other side there some service providers emerging as attractive services – well these make it more attractive and tend to push towards the solution. Not to add the benefits of easy realization of rewards, trading options etc.,. It should be mentioned that Ethereum is moving to PoS (Proof of Stake) from PoW (Proof of Work) and some of the old rigs built used for mining may become unusable for this purpose. There so many Ethereum Cloud Mining services available now. We will discuss only market leading or emerging innovative service providers. It should be mentioned that some Ethereum Miners are also using leading mainstream cloud computing services like AWS, buying the computing instances from them and setting up mining rigs. And there are pure play cloud mining services. These pure play cloud mining services are the easiest way to get started and so being discussed here in this article. Service offering features may vary between different service providers and miners experience may also vary as mining is a complex process that not only depend on the rig but also with some external factors. and some scam and default of pay-out risks by service providers. It should be a general advice to new miners to go for established, trusted service in the market. Keeping aside the CAPEX (capital expenses) and OPEX (operational expenses) part let us look at what are the distinctive advantages that Ethereum Cloud Mining services presents. One as we have already seen is instant start-up. We can sign up and start. Go for a contract offering period that is suitable to us. And service goes with service level agreements and guaranteed uptime. Plus there is 24/7 customer service to get technical issues sorted out or support for mining service issues. Cloud mining contracts offered by cloud mining companies like Genesis go as small, medium and large. Small contracts start with 1 Mh/s, Medium at 25 Mh/s and Large at 100 Mh/s and you can note current rates and pay-out in Genesis site. Fixed hash rate contract for fixed duration is easy to start-with. Cloud Mining Services definitely offer attractive benefits to consider and get started with Ethereum Mining. An ethereum mining calculator will help you assess how profitable your approach will be, which will in turn influence your choice of hardware. Once you have mined your ether, you may want to invest in an ethereum hardware wallet as a secure way to store your currency. Ethereum Mining Pool – What is it and should you use one? Once you have established yourself as an ethereum miner and have purchased all the necessary equipment to build a suitable ethereum rig, you need to determine if you wish to remain a solo miner or become a part of an ethereum mining pool. Each of these options has benefits and consequences and is dependent on your personal requirements and to some degree on the processing power of your ethereum mining hardware. A mining pool is when a group of solo ethereum miners join forces and combine their processing power for quicker mining results. The shared processing power helps to solve blocks faster and miners can see results quicker than when they mine solo. Each of the contributing miners is paid a share of the block based on their contribution. The hashrate of the rig is determined by the processing power, so the increased resource of pooled ethereum rigs will result in more blocks generated in a shorter period of time. Ethereum mining pools calculate payouts on different methods. A PPLNS payment basis, (Pay Per Last “N” Shares) involves some luck but offers on average 5% more than PPS (Pay Per Share) where you get a standard payout for each share completed. Some pools also run on a predictable solo mining method where the person who contributed the most to the block gets the whole block. It is important not to confuse ethereum mining pools with ethereum cloud mining. With cloud mining an organisation will own the rigs and do the mining on your behalf and pay you dividends, for mining pool each miner needs to own their own equipment and have software that enables them to join a pool and then earn a share of the blocks mined. The top ethereum mining pool for 2017 is reported to be the joint mining pool of Ethpool and Ethermine. The two have separate sites and different payment methods (PPLNS and predictable solo) but the underlying pool is shared and currently makes up just over 25% of the hashrate network. Ethermine has over 63000 active miners and Ethpool 1200. Combined they mine over 50 blocks per hour. A single mining pool should never exceed 50% of the hashrate network. As with any option there are positive and negatives for choosing to join a mining pool versus mining solo. When mining solo you do not need to share your rewards with anyone but the chances of earning are significantly reduced and the time from investment to reward can be far longer. The more mining pools in play, the more hashrate of the network the pools are using and the more difficult it becomes for solo miners to get blocks. Solo mining is not recommended unless you have processing power over 100mhz. To calculate the mining profits expected, use the ethereum mining calculator. The most important factor in choosing a pool is the reliability of the pool and their reputation for paying correctly. The bigger pools would not have been successful if they did not meet the criteria of their miners so it is always safer to go with the well known. However there are many ethereum pools available and the payout rates are different, so you may find it more profitable to choose a smaller pool and take the risk. You should also consider investing in an ethereum hardware wallet as a safe place to store your ether. If you’re seriously thinking about mining your own cryptocurrency, you’ll need to invest in some serious hardware. In this post we take a look at an Ethereum Rig, including what it is, where you can buy one, or if you are technically savvy, how you can build one yourself. For those that are completely new to the topic… Ethereum is an open-source, public, Blockchain-based distributed computing platform featuring smart contract functionality. Ethereum Mining can be simply understood as solving the problems in this platform by coming out with secure and reliable solutions. In the process of mining, you can get in to the platform with your account and collect ethers – ETH, cryptocurrency units. What is an Ethereum Rig? An Ethereum Rig can be broadly described as the computer infrastructure (hardware, software, and network) set-up to carry-out Ethereum Mining. Ethereum Mining requires heavy and intensive computational power by way of computer processing power, memory power, storage capacity, electricity etc., simply, the Ethereum Rig provides this power. If you are interested in doing Ethereum Mining yourself, well, you need an Ethereum Rig set-up in one way or other. Just to make it clear, ethereum mining hardware is required only for those who are doing mining themselves; it is not necessary for Ethereum investors. 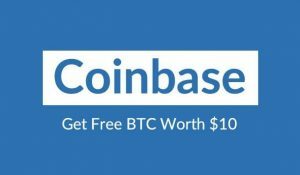 An easy way for investing in Ethereum is buying it through online exchange. Once you have your rig, you can decide whether to mine on your own, or to collaborate with other people in an ethereum mining pool. Further, using an ethereum mining calculator will help you to understand how profitable your chosen approach will be. or even go for a Ethereum cloud mining service. Mind that the choice of hardware and Ethereum Rig plays a crucial role in Ethereum Profitability. The major cost for us to do Ethereum Mining is the cost of rig and running cost of electricity power. The value of Ether is going up and the current cost can be seen here. In the recent past, the value of Ethereum has multiplied six fold! Ethereum Mining is a time and energy intensive work undertaken by enterprising geeks, coders/programmers or by anyone interested. Many miners consider it to be more stimulating and rewarding htat simply investing in Ether. The right Ethereum Rig plays a major part in realising and maximising the rewards. A careful study is required to decide on suitable Ethereum Rig that can enhance Ethereum Profitability. This article has thrown some light on Ethereum Mining in general and Ethereum Rigs in particular. There are other things you may want to consider, such as whether you will store your coins online, or on an ethereum hardware wallet.